London Churchill College students run Diabetes Day event to raise awareness of the ‘Silent Killer’. 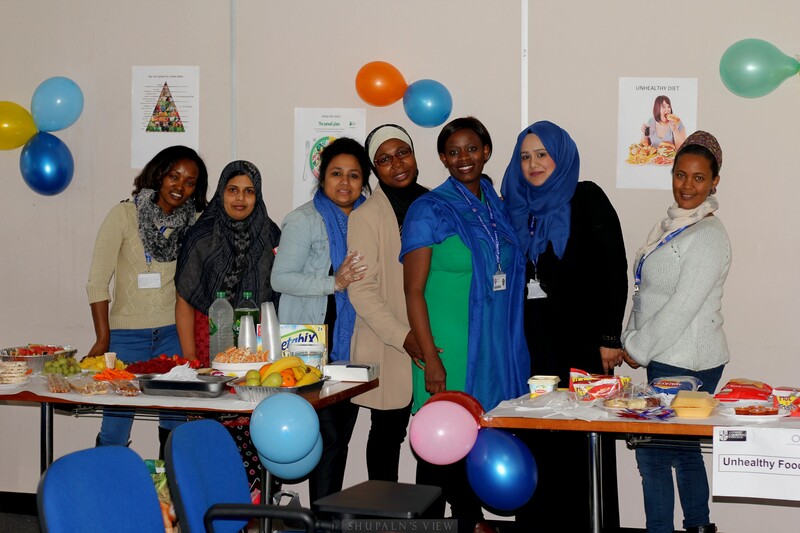 London Churchill College (LCC) delivered its annual Diabetes Day, on 18th of November 2016 at London Churchill College’s main campus at 116 Cavell Street, Whitechapel E1 2JA. The campaign supported World Diabetes Week and raised diabetes awareness in people in East London; its prevention and how families can enjoy a healthy lifestyle. In the UK around 235,000 people were diagnosed with diabetes in the past year. The event highlighted myths and misconceptions in the local community about this complex and often misunderstood condition through testing and information. 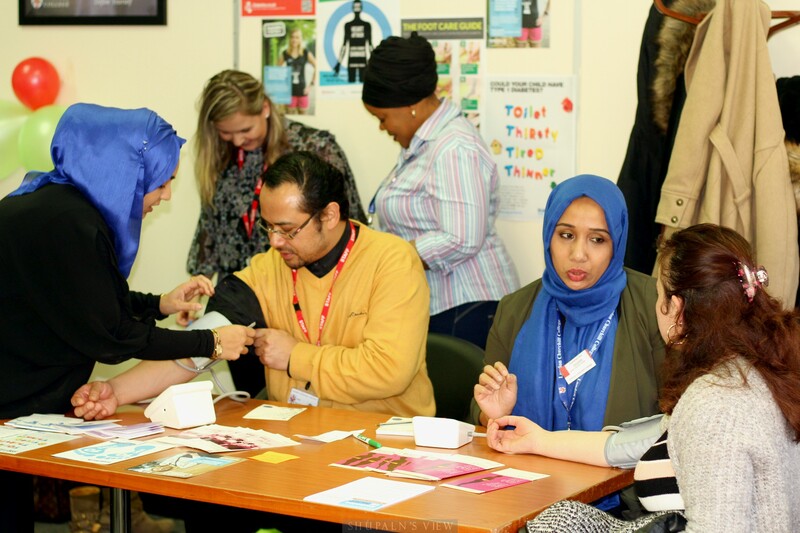 Tower Hamlets and Newham are national hotspots for diabetes and target areas for improvement in health, lifestyle and diet. Health care professionals present at the Diabetes Day event checking visitors’ sugar level and assessing their risk of Type 2 diabetes. Information posters and presentations told visitors how to reduce the risks of this ‘silent killer’ with a healthy diet and other lifestyle choices. Participants tried some of the dishes, prepared by students on the HND Health & Social Care, and learned what food to avoid. 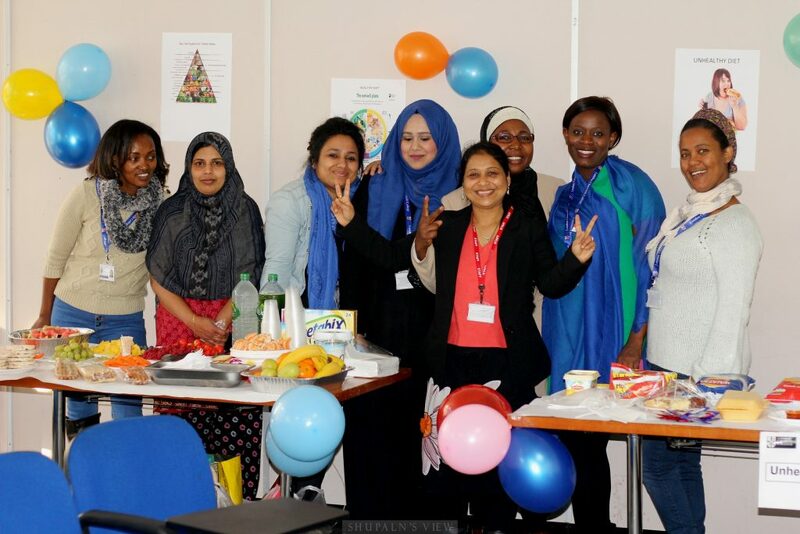 The events was run by HND Health & Social Care students as part of their course and to provide them with the skills and attributes which will, in combination with their academic study, help them to find work in the sector and succeed in their chosen career. The HND course includes work experience for all students as a key feature of the College’s mission. Founded in 2007, LCC is a College based in the community with campuses at Whitechapel, which delivers HND courses. The College combines academic study with practical application to give students the opportunity to gain the experience they need to find a job and progress in the organisations they join. For more information about the courses at London Churchill College and how you can get involved in delivering your skills and experience to students contact Rahman Chowdhury on 0207 247 9007.